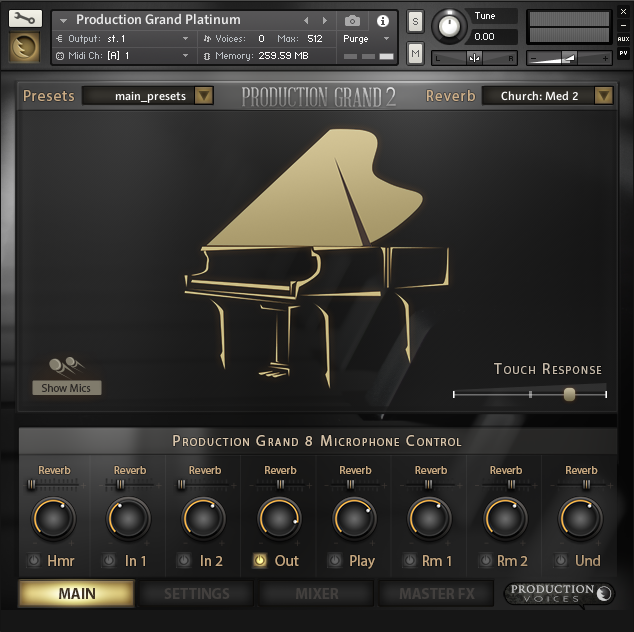 Production Grand 2 is an exceptionally high-quality piano sample library for NI Kontakt 5.5 and above, consisting of eight microphone perspectives and over 120,000 samples of a Yamaha C7 grand piano recorded in a world-class recording studio. The library is 437.5 GB in size*! 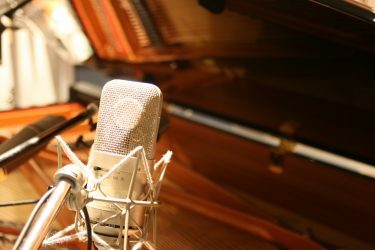 If you walk into a recording studio today, chances are you are going to find a Yamaha C7, the iconic grand piano that is heard on countless recordings. Every engineer has there own way of capturing the sound either with the position of the microphones or the type of microphones used. Production Grand 2 aims to capture these tones in a piano sample library that gives you great flexibility in microphone placement and choice. 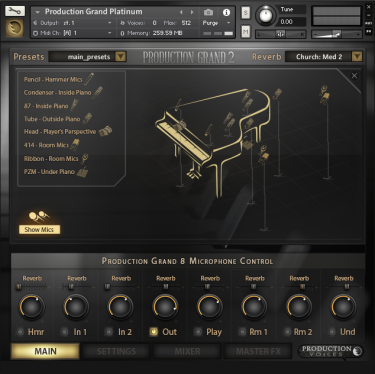 The iconic studio piano sound can be added to your performances and productions the same way a producer or engineer would in the studio. 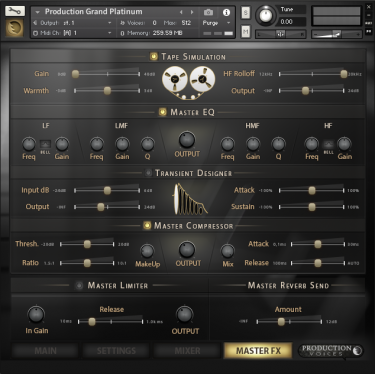 You can experiment with all the tonal combinations or simply choose one of the presets we made for you. 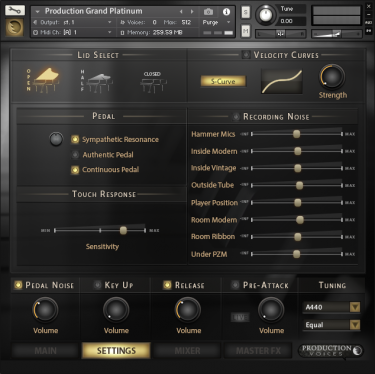 Either way, you are in for a piano sonic treat. 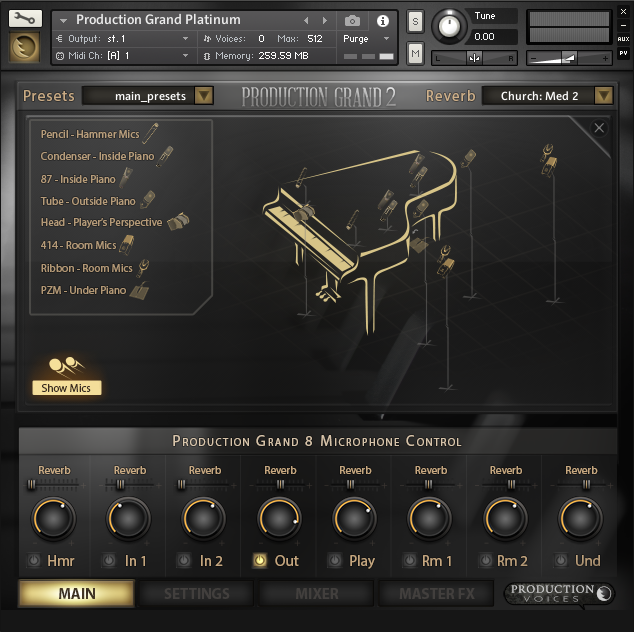 Production Grand 2 is ideal for Studio Production, Stage Production, Film Score Production, Performance and more! 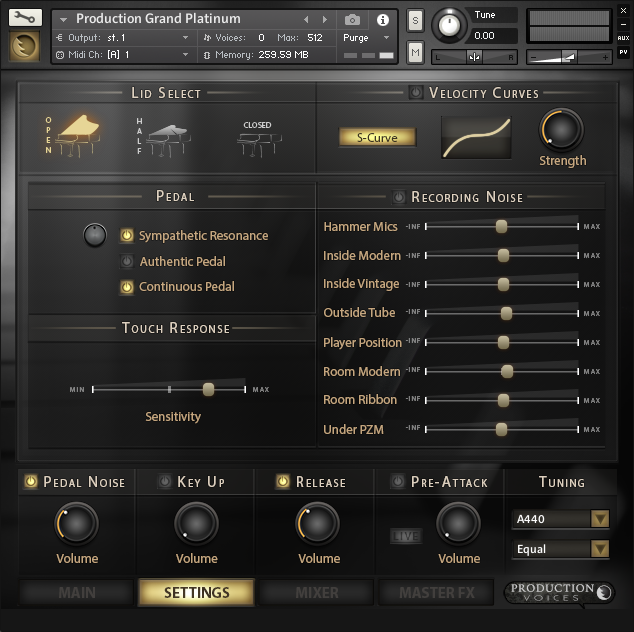 Format: NI Kontakt 5.6 (5.6.8 recommended) and above. 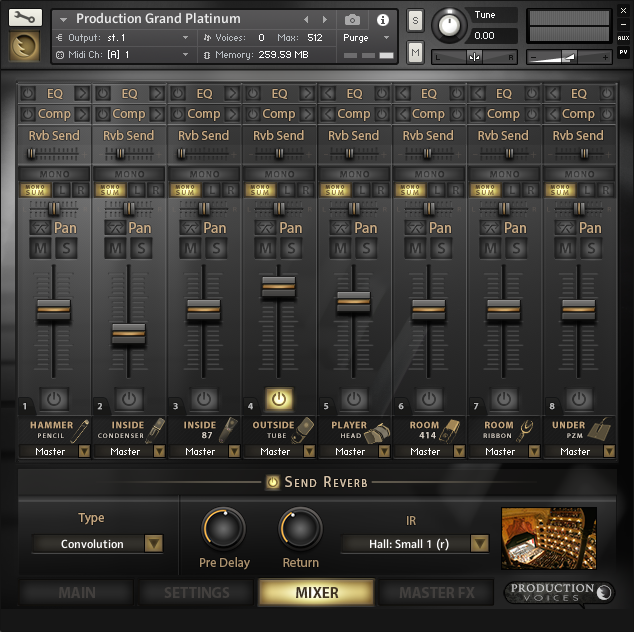 *430 GB represents the fully uncompressed library with three different bit/sample rate versions: 24 bit 96 kHz, 24 bit 44.1 kHz and 16 bit 44.1 kHz. Kontakt lossless compressed files compressed from 430 GB to 207 GB. 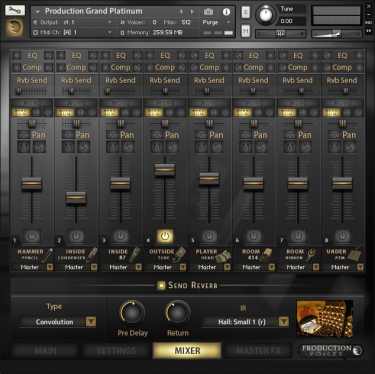 The Kontakt compressed format performs well on modern systems (i5 and i7 Intel chips and greater). Specifications subject to change (with or without notice) as updates and improvements are made. 80 GB of free hard drive space for minimum installation. 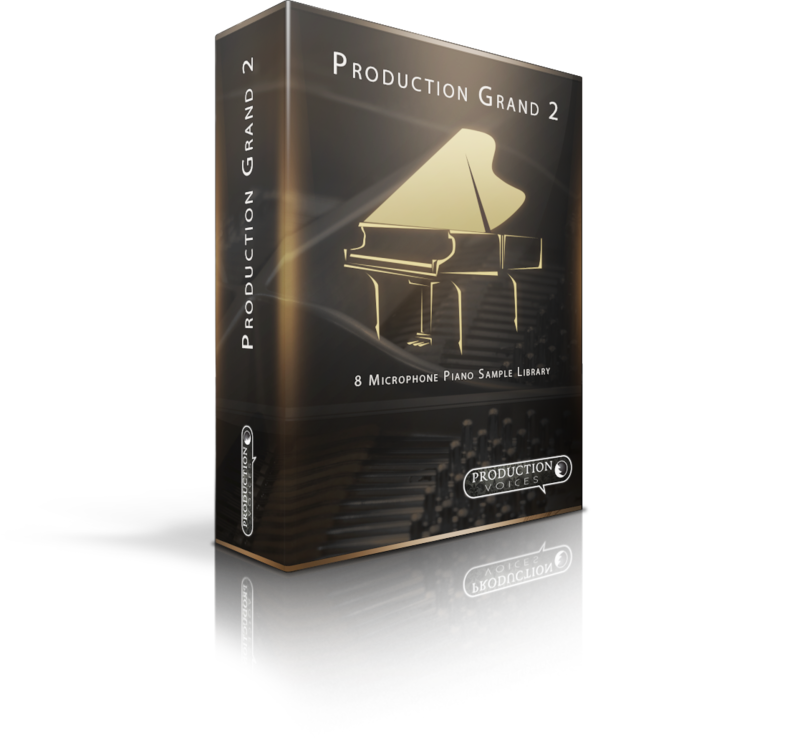 210 GB of free hard drive space for full installation the Kontakt compressed files as delivered on hard drive. Note to International Customers: Production Grand 2, when requested on hard drive, may be subject to duties and taxes determined upon package entry into your country. We have no control over how packages are held or charged. We claim the full purchase price value on all shipments.